1. 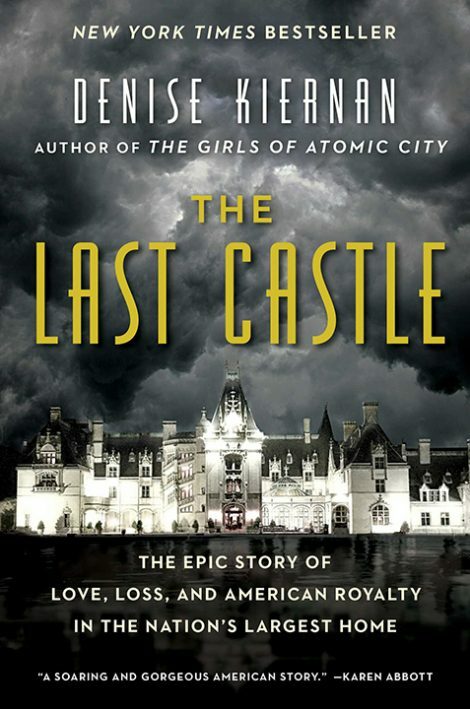 Why do you think Denise Kiernan chose to title her book The Last Castle? In what ways does Biltmore function like a castle for George Vanderbilt and his family? How does it differ? 2. Edith Vanderbilt’s mother hailed from the Fish-LeRoy and Stuyvesant families. These families were “exceptionally well known in New York circles where names carried the weight of history and bore the shackles of expected romantic pairings” (p. 3). What expectations do Edith; her mother, Susan Fish LeRoy; and their peers face with regard to marriage? Do you think these expectations lead to some disastrous marital pairings among Edith’s peers? If so, give some examples. 3. Describe the origins of the name that George chooses for his Asheville estate. What does “Biltmore” signify? Why do you think it’s important for George to choose a name for his estate? The citizens of Asheville have mixed reactions to the name “Biltmore.” Discuss them. 4. Kiernan describes William B. Osgood Field as being “like the Nick Carraway to George’s Gatsby: playing matchmaker, yet unable to keep up with his friend financially” (p. 99). Describe George’s friendship with Field. Do you think Kiernan’s comparison is apt? Why or why not? What other friendships are particularly important to George? 5. When Field accompanies George Vanderbilt to Europe, George’s sisters inform Field that “he should be more than George’s companion on this trip. He should seek to help George land his life’s companion” (p. 81). Why do George’s sisters think that Edith is a good match for him? Do you agree? What considerations must someone of George’s social class take into account when looking for a spouse? 6. During the Gilded Age, being “a son of the Vanderbilt dynasty was to have your every move, dalliance, chance encounter, and passing venture watched and analyzed” (p. 7-8). Why do you think the public is so interested in the lives of the Vanderbilt family? Discuss the impact the constant public scrutiny has on the behavior of members of the Vanderbilt family. Can you think of any modern equivalents that are scrutinized in the same way the Vanderbilt family was in their time? Who are they? 7. In letters, George’s niece, Adele, describes herself as “Biltmore homesick” (p. 46). What does she mean by this expression? Why does Adele enjoy herself so much during her visits to Biltmore? How is life better for women of Adele’s social class on country estates? What freedoms are afforded to them that they do not have while they are in cities? 9. When Cornelia is born, the locals honor her by “conferring the ‘tar heel’ moniker upon [her]” (p. 134). How does Cornelia’s birth connect George and Edith with the community in Asheville? Why do the residents feel a sense of ownership over her? Describe Cornelia’s connection to her birthplace as an adult. Were you surprised by it? 10. In 1873, Mark Twain and coauthor Charles Dudley Warner wrote a book about the age of excess in which they lived titled The Gilded Age: A Tale of Today. Do you think “Gilded Age” is an appropriate title for the time? If so, why? Would you have liked to live during the Gilded Age? Why or why not? 11. Why does George Vanderbilt elect to build Biltmore in Asheville, NC? What is the effect that Biltmore has on the region socially, economically, and in terms of infrastructure? If you could build an estate anywhere, where would you do so? Explain your answer. 12. Kiernan writes that Biltmore “may not have been in New York or Newport, but if this house didn’t make an impression on the Four Hundred, nothing would, acorns or no.” (p. 66). Explain this statement. What kind of impression did Biltmore make on visitors? Was there anything you found particularly impressive about the house? If there was, discuss it with your book club, explaining why you were so taken with that particular feature. 13. When President McKinley expresses a desire to visit Biltmore, E. J. Harding, the auditor of Biltmore Estate, specifies that McKinley, his wife, and any cabinet members are welcome to the estate, but the media is not. Why does Harding object to the presence of the press? Is he right in doing so? How does the press interact with members of the Four Hundred and with the president? Why do you think McKinley might want to have press during his visit? 14. Lillian Exum Clement, who became the first female legislator in North Carolina, said, “I know that years from now there will be many other women in politics, but you have to start a thing” (p. 245). Discuss the role that women played in politics prior to the ratification of the Nineteenth Amendment. In what ways were women active before they were granted the right to vote? 15. As a young man, George Vanderbilt tells Field that he wants to see the world before getting married, and that when he does get married, “he imagined she would perhaps be ten years his junior” (p. 85). Contrast George’s philosophy with regard to finding a life partner with Field’s. Do you agree with either of the men? Which one and why? Given the men’s philosophies, were you surprised by the choices they made in choosing their spouses? The story behind Biltmore Estate and its influence on the Asheville, NC, community is fascinating. What attracted you to it? A combination of factors played into it. I visited Biltmore for the first time while I was still in high school and loved the grounds in particular. I never anticipated, at that time, that I would ever live in Asheville. When my husband and I moved here more than eleven years ago now, I had the opportunity to visit as an adult and fell in love with the place. I was also stunned at how many people I knew—especially in other parts of the country—who had no idea about the rich history of Biltmore, let alone the fact that no other house in the United States has ever come close to equaling it in size. I kept collecting information over the years, the way I do with lots of ideas, but this one wouldn’t leave me alone. Then I just felt that it was time to write about it. The Last Castle is meticulously detailed. Can you tell us how you conducted your research? I spent many, many hours buried in old documents, letters, newspaper clippings, and photographs. I traveled to New York; Washington, DC; Providence, RI; and elsewhere to dig into archives. I read books, researched academic journals, and also spoke to longtime residents of Asheville whose family members would tell stories of the house and the family. And of course, I have visited the house countless times over the years. Your previous book, The Girls of Atomic City, was a New York Times, Los Angeles Times, and NPR bestseller and was named one of Amazon’s Top 100 Best Books of 2013. As a result of all this acclaim, did you feel any added pressure when you were writing The Last Castle? How did you combat it? I absolutely do feel more pressure, but I think that’s unavoidable. To combat it, I speak to other writer friends who have been in the same situation. I also look to the experiences of extremely well-known authors whom I admire greatly from afar who have endured ups and downs in their careers. Overall, I feel incredibly fortunate that Girls did so well and that I have been given the opportunity to share another story I find fascinating with readers. Your descriptions of Biltmore in The Last Castle make the estate come alive. Do you have any favorite parts of the estate? Which parts of the estate would you advise visitors not to miss and why? As a writer, I am absolutely in love with the library. It is a spectacular sight. I really enjoy the view from the loggia and like to stand out there and try to spot wild turkeys. The view is astounding. The basement is remarkable. It is fantastic to get into the bowels of the house and marvel at what a massive undertaking Biltmore House was on a technological level and try to envision the space buzzing during the holidays in the early 1900s or when famous visitors came to call. So much has been preserved in the house that you really can let your imagination take you back a hundred or so years. For both your Signers and Stuff series, you worked with a coauthor. How did that experience differ from that of writing The Last Castle? Does your writing process change when you’re collaborating versus working independently? If so, how? That’s kind of a loaded question, because in that situation the coauthor was my husband, Joseph D’Agnese (josephdagnese.com). Collaboration can be challenging for writers, because most of us are used to spending hours alone inside of our own heads. For Joe and me, the general approach is that what one of us writes, the other edits. In the beginning, we write and swap smaller sections until we’re fairly confident that we have arrived at the same voice. Even when we are working on our own titles, we are each other’s first readers, and it is very helpful to have an in-house editor. We disagree at times, but so far the marriage has survived it. 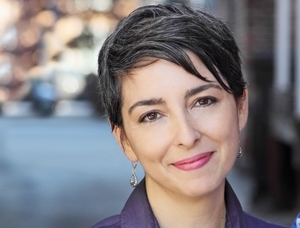 As a New York Times bestselling author, do you have any advice for aspiring writers? Is there anything that you wish you had known before beginning your career? The advice I will give is the advice I still work to follow: 1.) Write every day. It’s a muscle. It’s a skill. You need to work out to stay in shape. 2.) Also incredibly important—and this one can be difficult to follow—is to give yourself permission to write really, really badly. Write a horrible first draft, but get it out of your system. If you’re obsessing about things being perfect along the way . . . they won’t be. Also, you are a better editor once you have the whole thing down. Books are often best edited with the entire text in mind, no matter how drastically you end up changing it. 3.) Be careful who you share your work with and when. Outside readers are very important, and you want ones who will be both astoundingly blunt AND considerate of how unnerving feedback can be. You want someone who is critiquing you from a frank yet compassionate place. You don’t want people telling you everything is great—that’s a red flag—but you also don’t want creative saboteurs, either. 4.) TURN OFF THE INTERNET. You don’t have to do it all day, but you need large stretches of quiet for things to rumble around a bit. In addition to your career as a New York Times bestselling author, you are a professional producer. Has your background as a producer helped you in your writing career? If so, how? I think perhaps it helps me visualize scenes. I like to think visually when I write and keep lots of images around. It certainly helps with project management as well. There can be a lot of moving parts when you’re promoting one book, traveling for research for another, and still needing time to write. I like visual storytelling and sometimes thinking of how a story might be told on film or television gives me structural ideas when I write. What would you like readers to take away from The Last Castle? Honestly, whatever they want. Over the years, I have heard so many different reactions to and perspectives on books I’ve written—I can never anticipate what they are going to be. I also would never want to tell anyone what to think about anything I’ve written. Everyone brings a little bit of themselves to stories they read, and I sincerely hope the story of The Last Castle is relatable enough that readers will be able to engage with it in their own unique way. I, personally, find the philanthropic activities—not just check writing—that Edith, especially, engaged in rather inspiring. I also find that no matter how much money you have, there is no protection from harrowing tragedy and personal loss. What is impressive to me is how people handle those kinds of situations. Is there anything you have found particularly rewarding about publishing The Last Castle? Can you tell us about it? More of my friends are interested in actually reading The Last Castle—as opposed to just buying it to support me—than The Girls of Atomic City. I know a lot of folks who don’t want to read about science or war, so it has been nice to hear from people who have been genuinely excited about the book. It’s fun to dive into a different time and place for a while. Yes, I am, and no . . . I won’t. Nonfiction can be tricky, because history belongs to all of us. No one has “dibs” on anything. In the early stages of a book, I am very protective of my material, in part because if I’ve come across a way of discussing a certain moment in history, I want to make sure I hang on to that. Also, and this is probably more important, I am HORRIBLE at discussing things in the early stages, and I don’t want to turn off anyone unnecessarily.